Middleville Heritage Days Aug. 18-20 welcomes visitors to help celebrate the village's heritage with fun events, activities and lots of entertainment. A parade, car show, live concerts all three days, a food court and arts and crafts are all part of the events in the downtown. Saturday, Aug. 19 starts at 11 a.m., with the dedication of the Middleville Veterans Memorial and don’t miss the Heritage Day Parade that steps off at 1 p.m. The family-friendly event has its own KidzWorld next to the Village Hall. On Saturday, the kids will find inflatables, face painting, air brush tattoos, a back pack full of school supplies raffle and free drinks and snacks. It’s also the base for a family scavenger hunt in the downtown from 11 a.m. to 1 p.m. with prizes. For a complete schedule, visit WBCH Community Events calendar. The event is sponsored by the Middleville Downtown Development Authority. (upper left) The Battle Creek Mini-T’s perform at an earlier Heritage Day celebration. 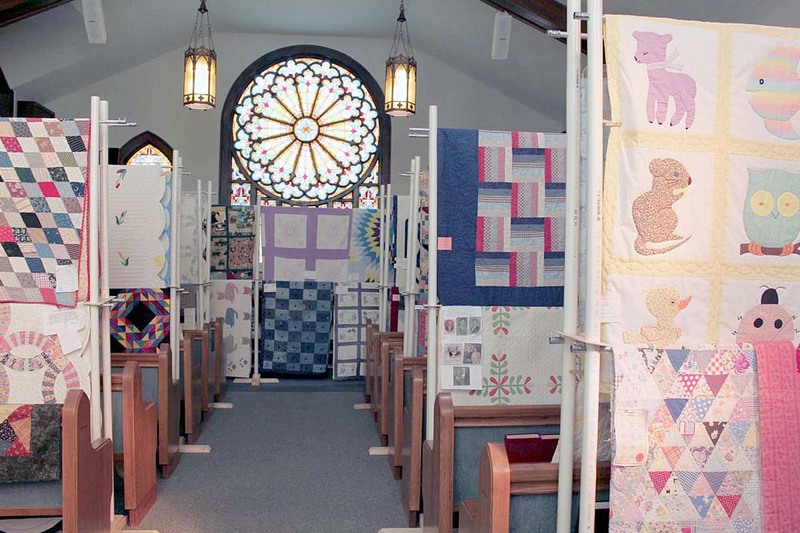 (lower left) A file photo shows beautiful, handmade quilts displayed in the Middleville United Methodist Church during a Heritage Day.